PBS Announces Sherlock, Victoria Premiere Dates In Mid-Season Schedule! PBS has announced its massive Mid-Season Schedule and it brings great news for Holmesians – Sherlock returns to Masterpiece Mystery! on January 1st. Masterpiece drama Victoria, the new series about the life of Britain’s young Queen Victoria starring Jenna Coleman, premieres on January 15th; Season two of Mercy Street premieres on January 22nd and the popular Call the Midwife is set for April 2nd. A major new strand for Great Performances – Landmarks Live In concert – will feature Alicia Keys on January 20th and Brad Paisley on January 27th. PBS staples like Frontline, American Masters, Nova and more, also return with new episodes. For the complete PBS Mid-Season Schedule, read on. It’s Beginning To Look a Lot Like Christmas Shopping Time: 2016 Doctor Who & Sherlock Shopping Guide! BBC Worldwide North America has just released its Sherlock & Doctor Who Holiday Gift Guide for 2016 – so if you’ve got a Whovian or a Baker Street Irregular to shop for, read on for some very cool gift ideas. Comic-Con 2016: Note Endless Fun Trailer: Sherlock: Series 4! Everyone has demons. Now’s Sherlock’s are coming back to haunt him. And why is Mrs. Hudson calling someone a reptile? The game is not on – the time for games is clearly past in the new season Sherlock, coming in 2017. Check out the absorbing/intriguing/twisted trailer Comic-con trailer for Sherlock after the break. 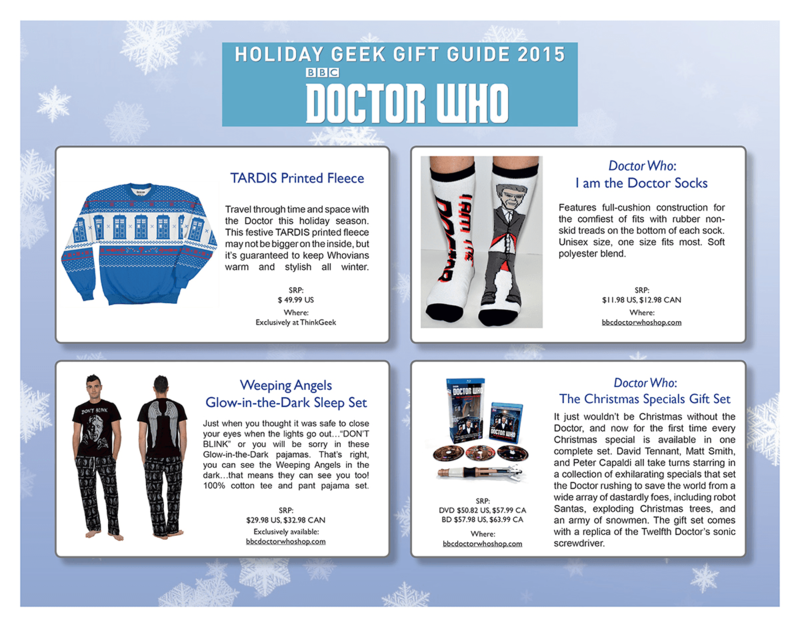 Doctor Who/Sherlock Christmas 2015 Gift Guide! Whovians and Sherlockians are some of the hardest fans to buy gifts for at Christmas. Thanks to BBC Worldwide, there are a number of gift ideas now available to mollify even the pickiest of them. Whether it’s a Sonic Screwdriver, a Sherlock or Fourth Doctor Pop! figure; the doctor Who CLUE® board game or Sherlock TITANS: The Baker Street Collection, there are plenty of spiffy tie-ins to tantalize and amaze. Follow the jump for a host of cool gift ideas. That Hat Trailer: The Sherlock Special! 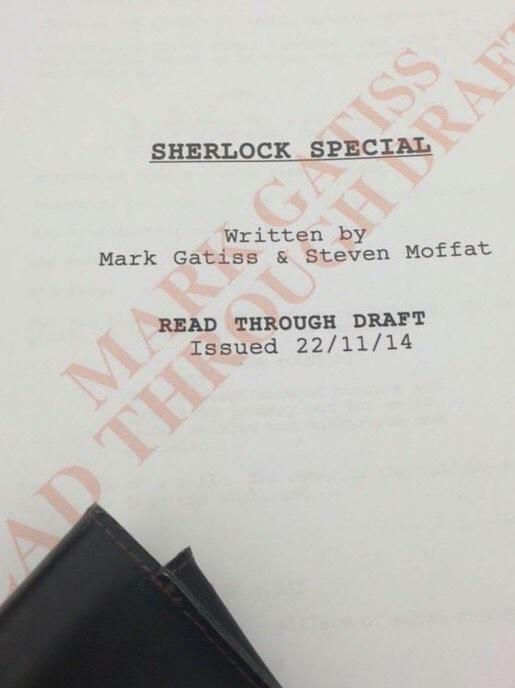 The Sherlock Special has a title, a trailer and a premiere date. 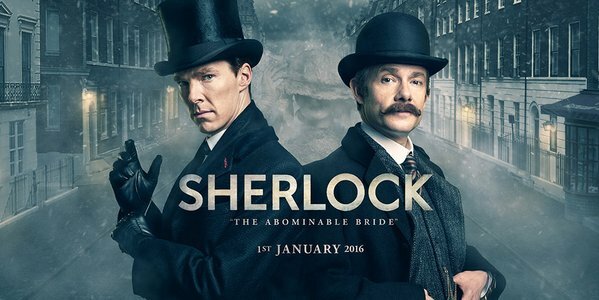 Sherlock: The Abominable Bride will premiere on January 1, 2016 (PBS, 9/8C) and encore on January 10, 2016 (10/9C). Check out the trailer following the jump. BBC Unveils Exclusives For Comic-Con 2015! BBC Worldwide North America will be bringing a host of BBC exclusives and collectibles to Comic-Con 2015 – including several Doctor Who items like the 12th Doctor’s Sonic Screwdriver Remote Control (above). Also featured will be a limited number of Sherlock and Orphan Black items. follow the jump to check them out. 2014 PGA Awards Nominees Unveiled! The Producers Guild of America has released their nominations for best film and longform comedy and dramatic television productions of 2014. For a complete list of niominees, follow the jump. The BBC has released the first photo from the one-off Sherlock special starring Benedict Cumberbatch and Martin Freeman. Check it out after the jump. The Game Is Most Definitely On! Complete Sherlock Coming In November! On the heels of Emmy® wins for Benedict Cumberbatch and Martin Freeman comes news that BBC Worldwide will release Sherlock: The Complete Seasons 1-3 on November 4th. This deluxe package will include all nine feature-length episodes of Sherlock to date. 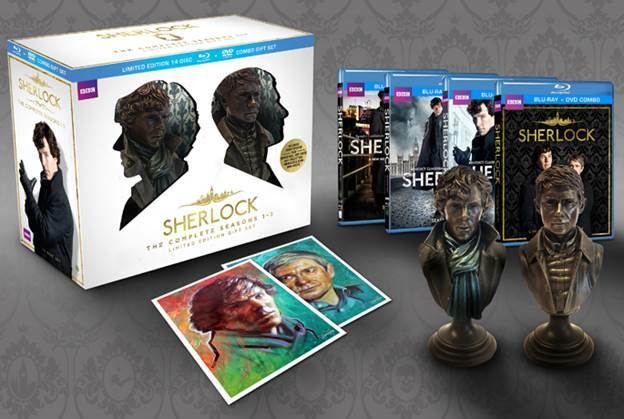 And here is where it gets interesting: the set will include a host of new extra features plus busts of Holmes and Watson and two limited edition art cards. For a complete list of extras, follow the jump.